Try these coordinates with the new version and the 0.9.7.0 and you will see what a difference in fps! Place "Diffuse nebulae in M31"
1. 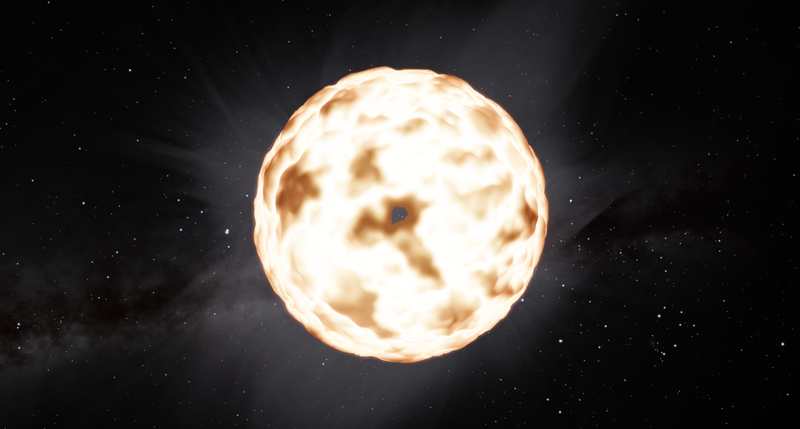 Space engine often crashes or rarely freezes, when i change the class of a planet or something on the landscape. How do you change the class of a planet in-game? Yep, just checked, this is a problem for me to. I actually noticed this too- on small gas giants as well. Really weird. Yea, terras and oceanias seems to be insanely rare this version. At the same time, titans and ice worlds with life are way too common. Not really a bug unless the lag is so bad the game is unplayable. LOL. OK, that is strange. Can you give an example location? This is new. 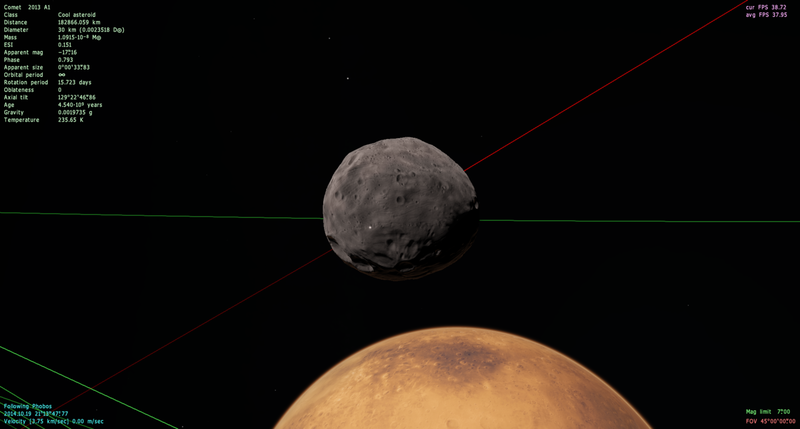 In 0.97 the planet editor worked relatively well. It had a few bugs, but it was useful. Now its only use is to check values. As soon as I try to change them, puff. I found a strange bug while using ships. If you destroy a ship while flying it in map mode (f1) weird things happen. Firstly, you get locked into map mode, then labels turn on by the billions and finally all of your settings get changed. Yes you are right. A temporary solution is to edit universe.cfg and reduce the diffuse nebula density in galaxies to around 0.1-0.15. Anything higher will cause a dramatic drop in fps. I believe there must be another solution for this but I am too sleepy to research now.. I was only using the default settings. I gave coords, so you can check the place if you want to. It has many nice views anyway. A temporary solution is to edit universe.cfg and reduce the diffuse nebula density in galaxies to around 0.1-0.15. Yes, true, even using NebulaDiffDensity 0.5 the performance goes better. Thanks. Anyway .... SE 0.9.7.0 in the same condition works good. Why? Bug or changes in nebula models or .... ??? For some reason "ProbOceania" in universe.cfg is set to 1. So everytime a planet will be generated tha matches the "Terra/Oceania" conditions, 100% are oceanias. I put it to 0.50 (ver0.9.7's value) and terras started to reappear. That fixed my low FPS issues over procedural planets. Thanks. where i can find the proboceania? @ deathstar, the class of planets can be changed with the dropdown box on the top of the editor. On this cersion, I found a lot of 200 kilometer sized selenas looking like asteroids. Is this wanted, or a bug ? universe.cfg, in the config folder. Sorry for the trouble, in the rush I forgot. Edited ! Yeah, i noticed those extremely small selenas/ice worlds too. The look like they've been run over by something. SE doesn't work properly if you disable HDR; most of its graphical features only function with it on, and performance is also higher with it on. It's best to leave it enabled. Probably a generation error caused my a multithreading glitch or memory problem. Try exiting and restarting in that galaxy and see if it still has no stars. SeaLevel no longer affects the height of water, only the ocean tag works for that, which is not yet integrated into the planet editor. Well, as far as I'm concerned, the only thing I think is not quite right in these worlds is when they don't have a layer of craters partially obliterating the base orography. Otherwise, they are pretty credible. Just look at photos of, say, Hyperion, and compare them with ZatSolo's image. You'll surely see the resemblance. That 200-300 km range is when roundness caused by self-gravity begins to give way to other forces as the main determinant of shape in astronomical objects, so I think this reflects reality quite well.